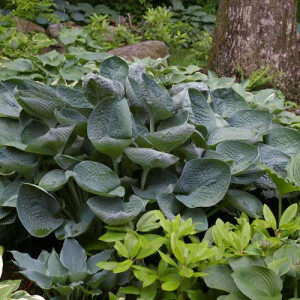 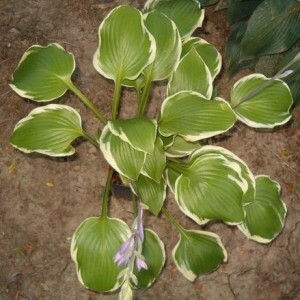 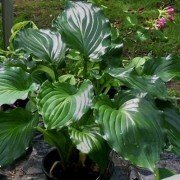 Neat and Tidy Hosta – Is a hosta that is anything but that! 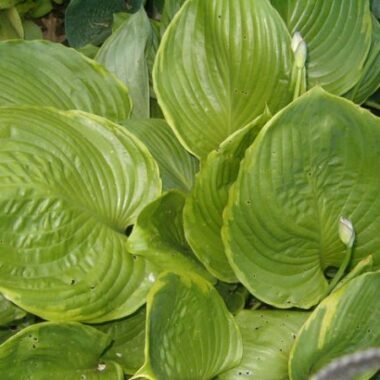 No two leaves are alike, they’re twisted, dark blue-green, rounded & puckered. 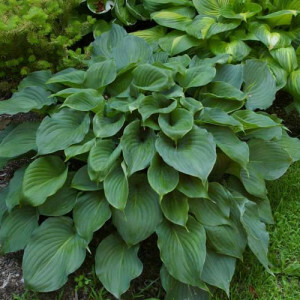 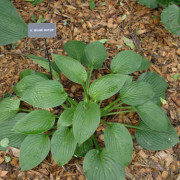 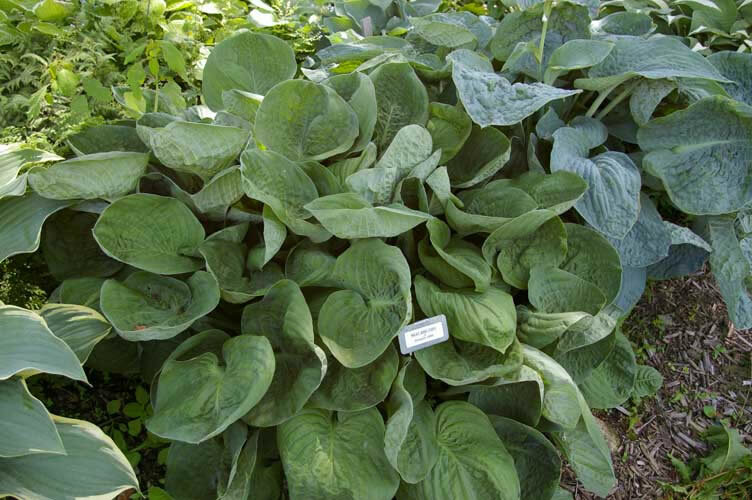 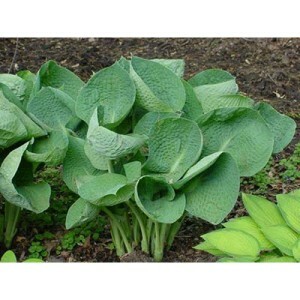 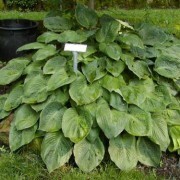 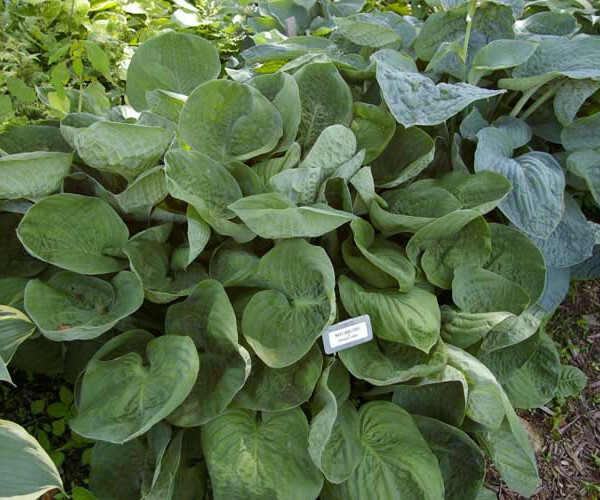 Med/Large: 19″ high by 49″ wide; Large unruly, Dark green foliage, wrinkled, thick substance, vigorous clump.